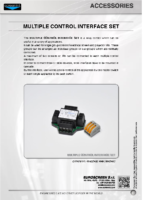 The MULTIPLE CONTROL INTERFACE SET is a relay control which can be useful in a variety of applications. 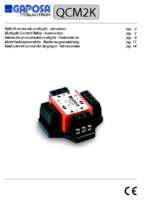 It can be used for single group control of electrical screen and projector lifts. These groups can be arranged as individual groups or sub-groups which are centrally controlled. A maximum of two screens or lifts can be connected to each multiple control interface. In order to connect three or more devices, more interfaces have to be mounted in cascade. By this interface, user will be able to control all the appliances by one master switch or each single appliance by its push button.